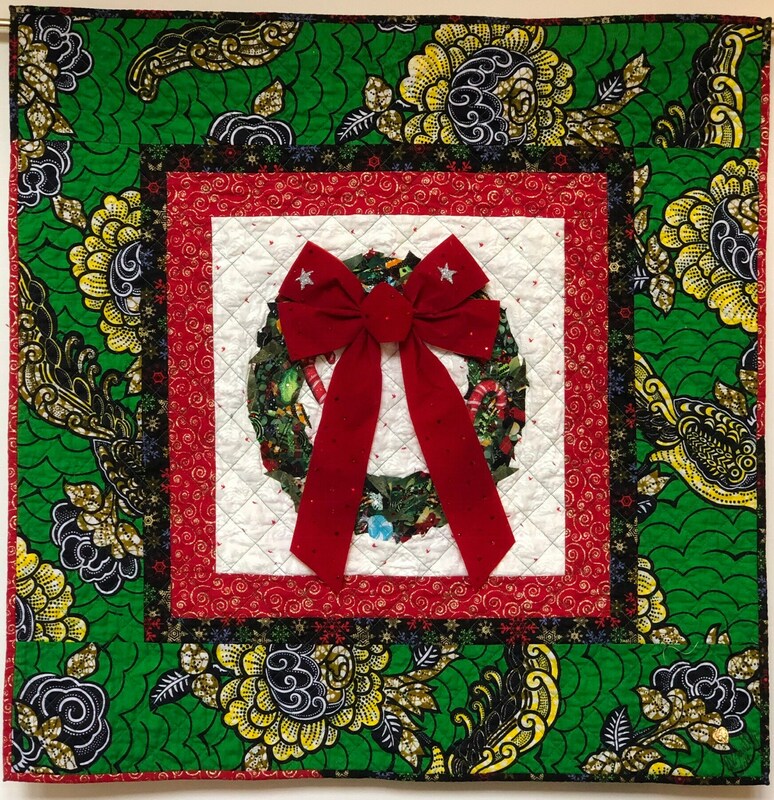 “Ancestral Wreath” is a quilted version of a traditional Christmas wreath. The green wreath is composed of many snippets of green fabric. This technique was created by Cindy Walter. 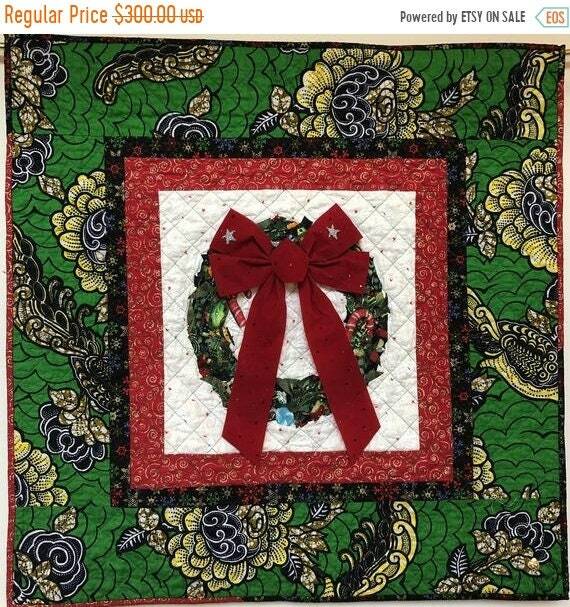 The wreath is framed by two holiday borders but finished with a green African print border. 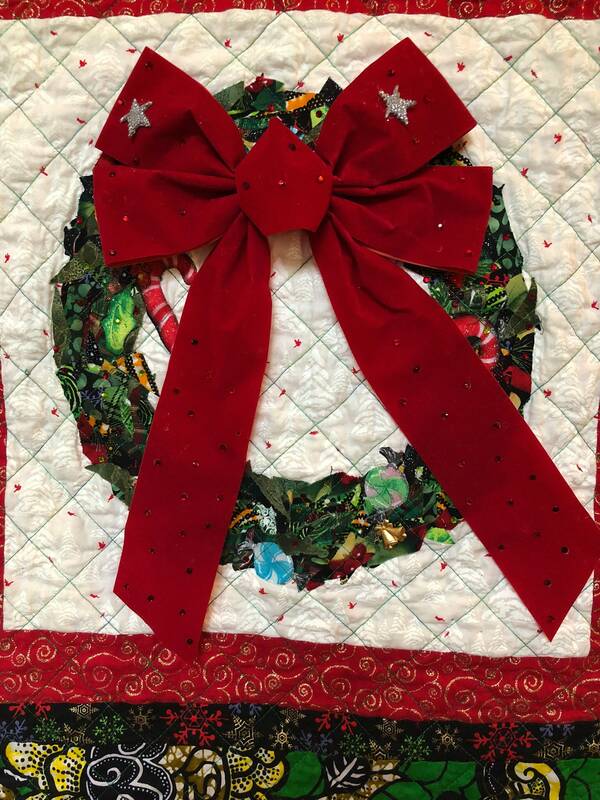 After quilting on my machine in a cross hatch pattern, I embellished the wreath with crystals and charms that add sparkle to the quilt. I then added a big red bow that is also embellished with crystals. 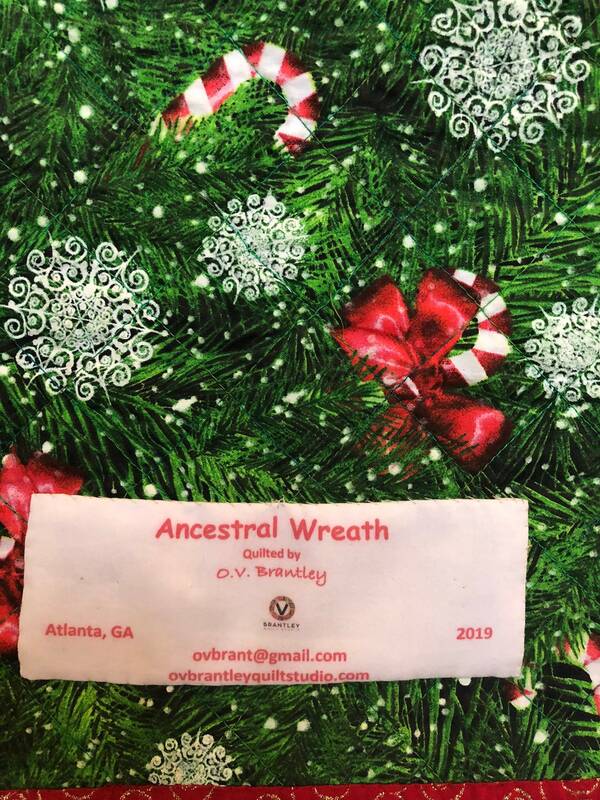 “Ancestral Wreath” measures 33x33 inches. 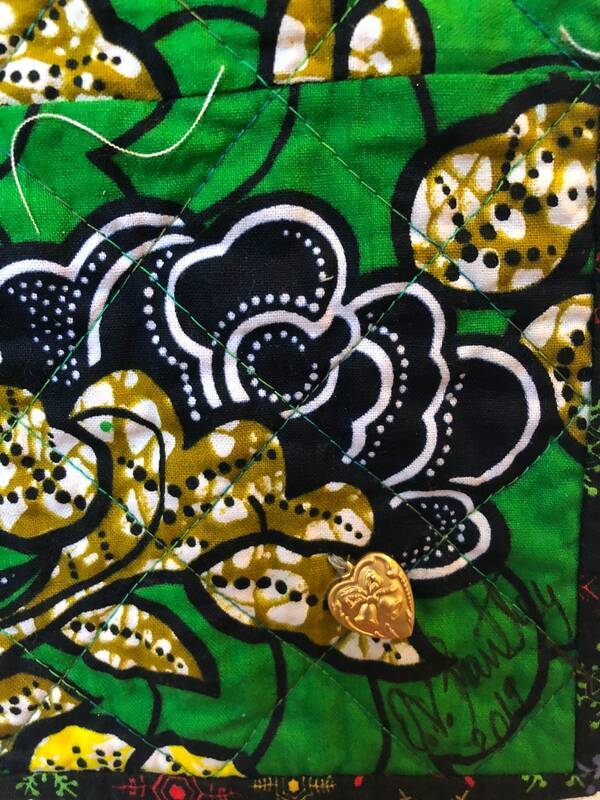 The fabric on the back is a traditional green holiday quilt. I added a hanging sleeve on the back for easy display and a label that documents the quilt. I signed it on the front. 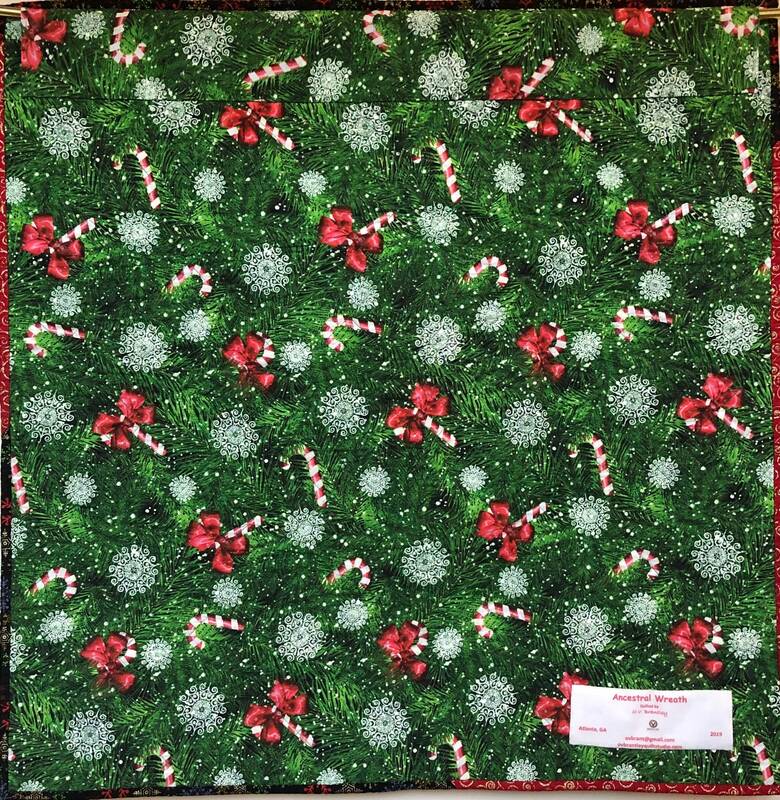 This quilt is one-of-a-kind and will make a unique addition to your holiday decor.